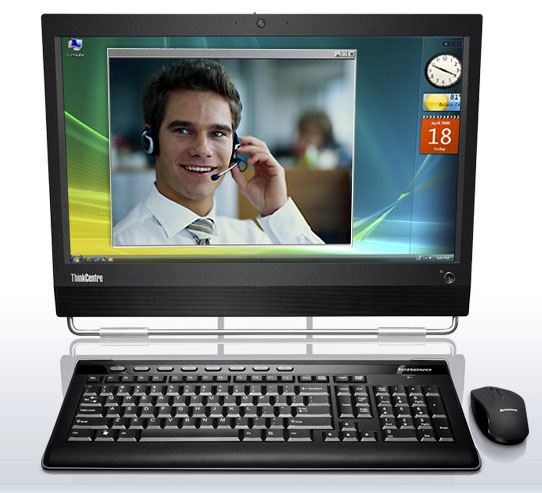 Computer maker Lenovo is branching out with is all-in-one systems with the ThinkCentre M90z, an all-in-one computer with an integrated 23-inch display that the company is touting as the first “business-focused” all-in-one PC…presumably in contract to all-in-one’s that aim to be secondary PCs in homes. 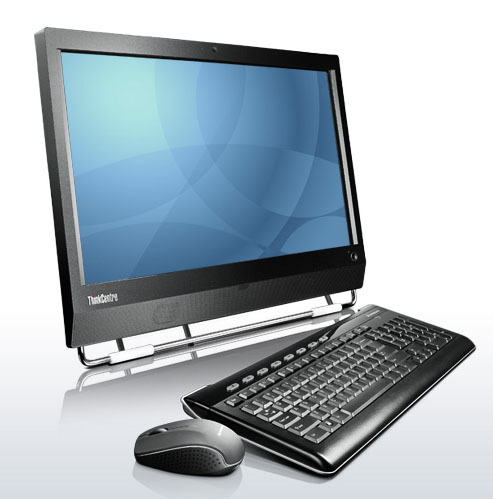 The ThinkCentre M90z sports Intel Core i3 or i5 processors, optional wireless networking, DVD player, and a touchscreen display. What makes the ThinkCentre M90z tilted towards businesses is apparently Web conferencing capability: the system sports an array microphone with a mute button and a a physical on-off switch for the webcam. The ThinkCentre M90z will be available with an option multitouch display, enabling users to pan, zoom, rotate, and click just by touching the 23-inch high-definition display. The system will also feature SimpleTap software to enable users to control hardware functions like the microphone, camera preview, sleep mode, system lock, and volume. The screen also sports a normal glass overlay so it can be cleaned and disinfected with common cleaners, making it a good choice for healthcare and shared environments. The ThinkCentre M90z will be available either either Intel Core i3 or i5 processors and will have a two megapixel webcam, integrated 2-watt speakers, optional Wi-Fi and Bluetooth wireless networking technology, and Lenovo’s ThinkVantage Client Security solution that works with Trusted Platform Modules to ensure security and easy integration into an enterprise computing environment. The unit is also built with over 40 percent post-consumer content, and with power management software cust electricity use by as much as 69 percent. The ThinkCentre M90z is available now to Lenovo’s business partners starting at $899; it should become available through Lenovo’s online store and retail partners at the end of June.